A man is facing impaired driving charges after crashing into the back of a school bus in Digby County. 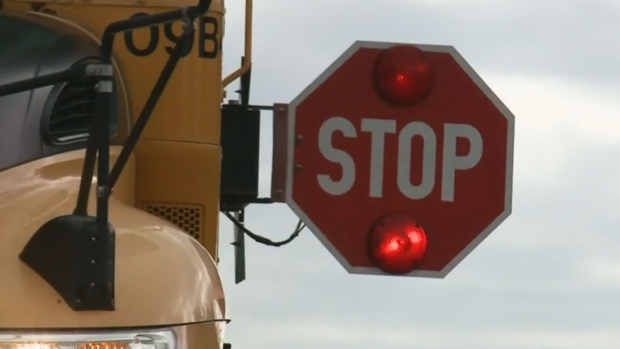 The RCMP say the bus was stopped, with its lights flashing, on Highway 1 in Grosses Coques, N.S., at 2:30 p.m. Monday. Police say students were getting off the bus when the vehicle was struck from behind by a car. When police arrived on scene, they found a badly-damaged car, and noted signs of impairment on the driver. The 71-year-old man from Grosses Coques was arrested and taken to the Meteghan RCMP detachment for a breath test. Police say his blood alcohol level was nearly three times the legal limit. The man was held in custody until he was sober and then released. Police say the man is due to appear in Digby provincial court on June 10 to face charges of impaired driving and driving over the legal limit.